Drunk driving continues to remain an epidemic in our society today, and its danger continues to go up as more and more drivers populate the road. 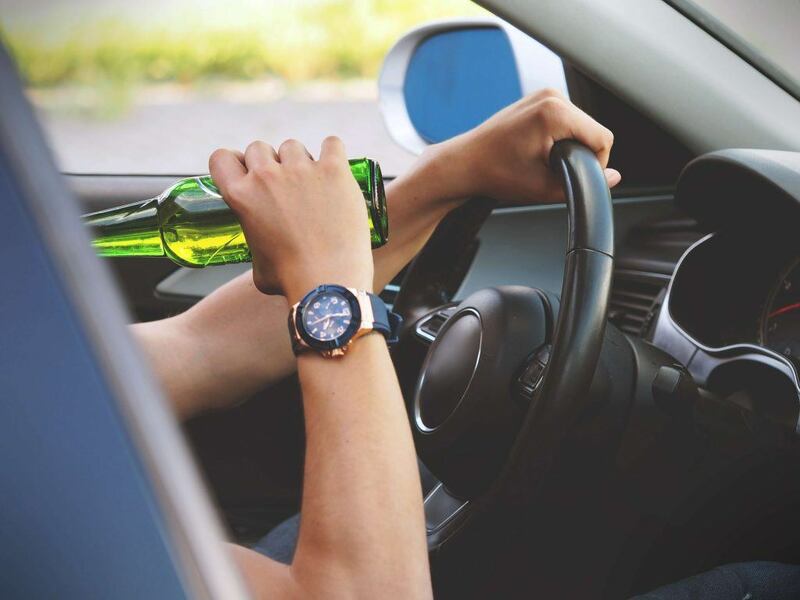 While much of the attention has been focused on what could happen to the other people on the road when a drunk driving accident occurs, the driver who has been drinking could also be injured. Drunk driving has the potential to lead to a wide variety of traumatic injuries, including bone fractures. A head-on collision can transmit a significant amount of force to the femur, leading to severe fractures that could require imaging and surgery to repair. These injuries could be costly for the patients and their family, particularly if the damage requires a stay in the intensive care unit afterward. While some people might have insurance to pay for this, these policies often have high deductibles that could place loved ones under a significant amount of financial stress. Many plans also have a lifetime cap on them. The emotional toll that this could take on families is often overlooked, and for this reason, those who are responsible for accidents while driving under the influence must be held accountable. A recent study sought to examine whether or not punishments are lighter for those who have been injured while driving drunk. The study reviewed auto accidents that involved a drunk driver who was injured, taken to the emergency room, and subsequently found to have a blood alcohol content (BAC) that was above the legal limit of 0.08. The study looked at all the accidents that had been reported in a variety of databases ranging from MEDLINE to CINAHL and EMBASE. The researchers examined the crashes to determine whether or not the drivers suffered any legal consequences for their actions. The researchers reviewed over 25 studies that took place in either the United States, Canada, or Sweden. The studies included over 11,000 patients with over 5,000 drivers who had a BAC over the legal limit. There were legal consequences that resulted in over 4,900 cases. A large percentage of the drivers who wound up in the ER were subsequently found to have been drunk driving. While it is acceptable to see that many drunk drivers faced some legal consequences for their actions, the conviction rate on a charge of either DUI or DWI was only 13 percent. Notably, over 15 percent of the drivers had already had a prior DWI or DUI charge on their record. The study also found that 3 percent of the drivers wound up having another DUI or DWI charge show up in the study. These numbers serve to highlight that the vast majority of the drivers are never convicted of drunk driving, which may come as a surprise to some people given how often these crimes are reported in the news and the political pressure that exists to cut down on the rates of drunk driving. It is highly likely that the national average for conviction rates of a DUI or DWI charge is significantly higher than 13 percent. If the national average for a DUI or DWI convictions is significantly higher than the 13 percent reported in this study, it is likely that drunk driving consequences are lighter for people who have been injured. This could be due to the drivers already being injured and the legal system thinking that the driver has already been punished (through the injury). Perhaps, not all of the charges and convictions for DUI and DWI were reported to the database. Regardless, drunk driving has the potential to lead to numerous injuries, including femur fractures, and should be treated seriously in all cases. It is vital that patients who have been injured by a drunk driver understand that there are legal actions available and that they don’t have to fight this battle alone. Drunk driving can also lead to wrongful death, forever changing a family. Future studies may want to look at the rates of drunk driving convictions and how they vary by location. Different states have different policies which could prove interesting for analysis and could have important legislative impacts down the road. Watch YouTube Video: Drunk Driving Prevention Video. This public service announcement provides a harsh look at the dangers and consequences of drunk driving. I’m Ed Smith, a Sacramento Personal Injury Lawyer. Drunk driving has the potential to lead to numerous injuries and even death. If you've been injured in an accident involving a drunk driver, call me for free, friendly advice at 916.921.6400 or (800) 404-5400. I encourage everyone to read some of our past verdicts and settlements here. See our client ratings and review on Avvo, Yelp, and Google.